Barbecue is a delicious meal choice any time of year, but there is something diving into about ribs that fall off the bone while catching the game that makes this dish extra special. Preheat oven at 275 degrees. In a small jar, combine cumin, chili powder, paprika, salt, and pepper. Close the lid, and shake to mix. Sprinkle as much of the rub onto both sides of the ribs as desired. 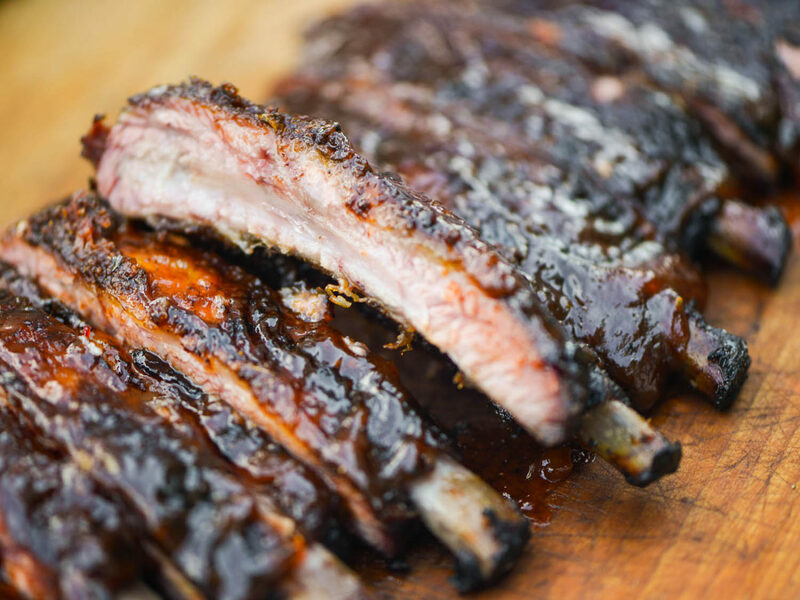 To prevent the ribs from becoming too dark and spicy, do not thoroughly rub the spices into the ribs. Store the unused portion of the spice mix for future use. Wrap ribs in Aluminum foil lay the ribs on a pan to capture any dripping. Leave undisturbed for 1 1/2 hour. Once ribs is fully cook unwrap ribs Brush ribs with BBQ sauce. Switch over to broiler and leave for 10 more minutes. Serve ribs as whole rack, or cut between each rib bone and pile individually on a platter.